The hardware side supports Quality of Service (QoS) through prioritised multiple queues. The cards (or individual channels) can also be operated with TwinCAT drivers – and therefore in real-time. 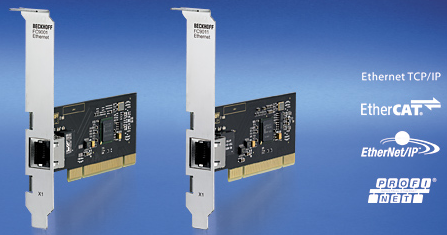 Real-time drivers TwinCAT drivers for EtherCAT/real-time Ethernet. Drivers can be selected separately for each channel.